When planning for an outdoor event like a farmers market, craft fair or community festival, it is important to take into consideration possible weather conditions. With any function set at an outside venue, you do not want to let Mother Nature compromise your exhibit space or company booth. With Alit water resistant canopy for our indoor/outdoor tent, you can make sure your presentation area stays dry no matter what the weather brings. 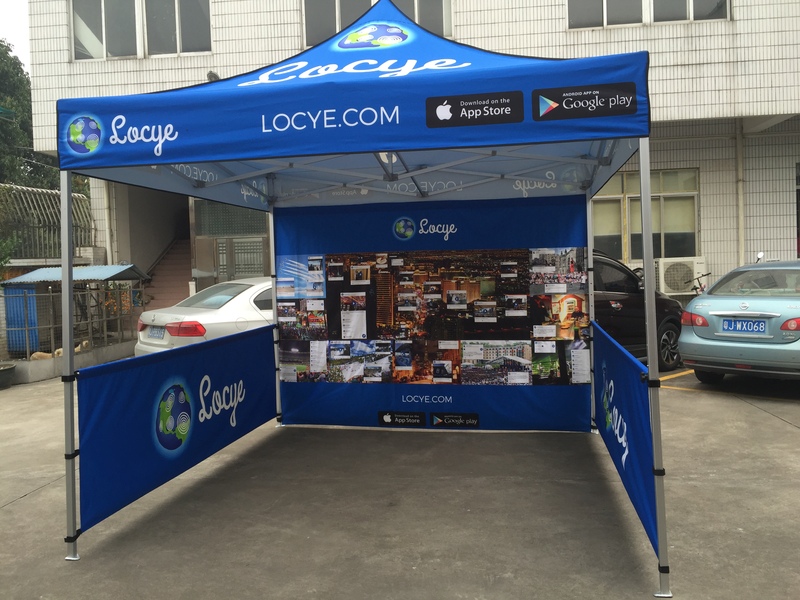 The full-color dye sublimated printed canopy can feature your company logo or the contact details of your non-profit organization to market your business in a bustling outside setting. You can order a replacement canopy for your existing tent frame to update your graphics for each special event you attend!